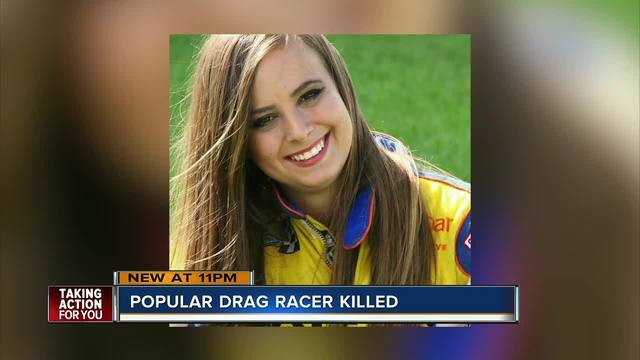 SEBRING, Fla. – Highlands County deputies are investigating after a 24-year-old drag racer died after crashing her vehicle during an exhibition run on Thursday night. Katarina Moller, 24, or Sarasota, Florida, was reportedly driving a jet dragster at Sebring International Raceway at the time of the crash. A jet car is a car propelled by a jet engine. Moller was making her first run in the car at Sebring’s regular drag racing event. The cause of the crash is being investigated by the Highland County Sheriff’s Office, and investigators are asking any spectators who were in attendance and recorded. Moller’s run to call the Criminal Investigation Unit at 863-402-7250. Moller, who went by the nickname Kat, was a regular, and very popular, racer at local short tracks and a driver for Larsen Motorsports in the jet dragster. She was in her fifth season with Larsen.